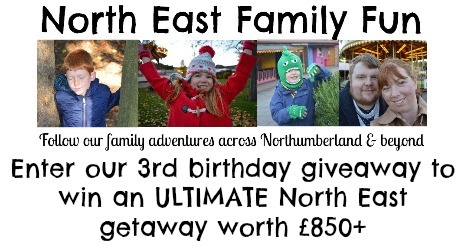 I was carrying out some blog admin last week and realised that North East Family Fun turns three this February! Yikes! Where did the time go! If you fancy a laugh you can check out my first ever post (which was transferred from my old blog - The Foxes Brush for those who remember) featuring Craster. You can definitely see how my blog has evolved if you look at a more recent post featuring a trip to Craster a few months ago. It makes me smile that when I first started blogging I didn't even know how to place a photograph in the middle of a post and I'd post them all at the end. We all have to start somewhere! I will often randomly decide to do something and just go for it and last week I thought it would be nice to organise a birthday giveaway featuring local businesses and people who have supported North East Family Fun over the past three years. A HUGE thank you to all of the businesses who have donated a prize. Your support means a lot and without you all this fantastic mega giveaway wouldn't be possible. One very lucky person will win everything listed! Please check specific prize terms and conditions detailed at the bottom of this post. I am delighted to have worked with Cottages in Northumberland on a few projects this year as one of their recommended bloggers. Check out my badge in my blog sidebar :o) Cottages in Northumberland provide a wide variety of accommodation across the North East including this rather fabulous house in Tynemouth where we stayed last summer. Dipper Cottage in Rothbury looks gorgeous and I am rather jealous of whoever wins this prize and gets to stay there! Jesmond Dene House is one of my favourite places in the North East and probably the place that I recommend to people the most. Whether you are looking for a romantic getaway for 2, a superb wedding venue, the best afternoon tea in the North East or family Sunday lunch, Jesmond Dene House will definitely impress. 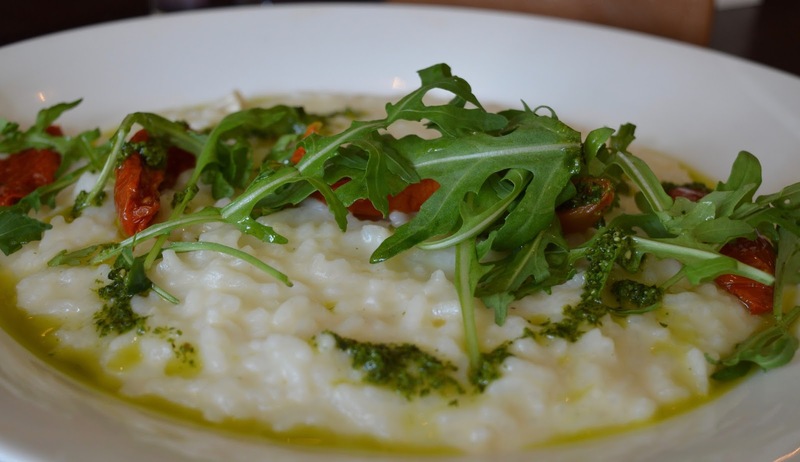 Gusto sits on Newcastle Quayside and serves up some of the best Italian food in town. Perfect for a romantic meal for two, girly get together or family meal, I often dream about their fabulous goats cheese risotto. Gusto also host a fantastic array of events from live music to cocktail making or special dinners. You can usually find Kirkley Hall Zoological Gardens featuring in our 'What's on guides' as to put it simply - there's always something going on! Whether this be a Princess and Pirate weekend, Zoo School or lambing weekend. Even if there's not a special event happening, there's always lots to see and do. 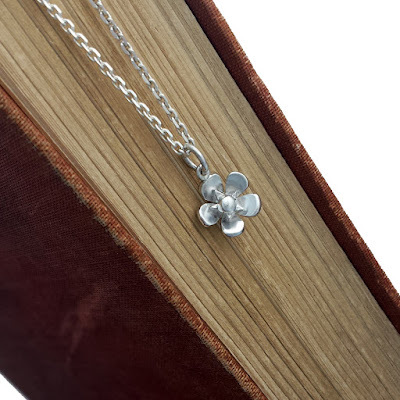 If there is one item I have loved more than any other during my career in blogging it is most definitely my handmade 'Mrs R' necklace which was designed and created especially for me by the wonderful Lulu & Charles Jewellery at their workshop in Durham. Lulu & Charles specialise in creating bespoke and personalised jewellery and really are the place to visit for a thoughtful gift your loved one will cherish forever. We had lots of fun shooting for Newcastle Building Society last year and 'Leaving an 8 year old in charge of dinner' was one of our most popular posts last summer. 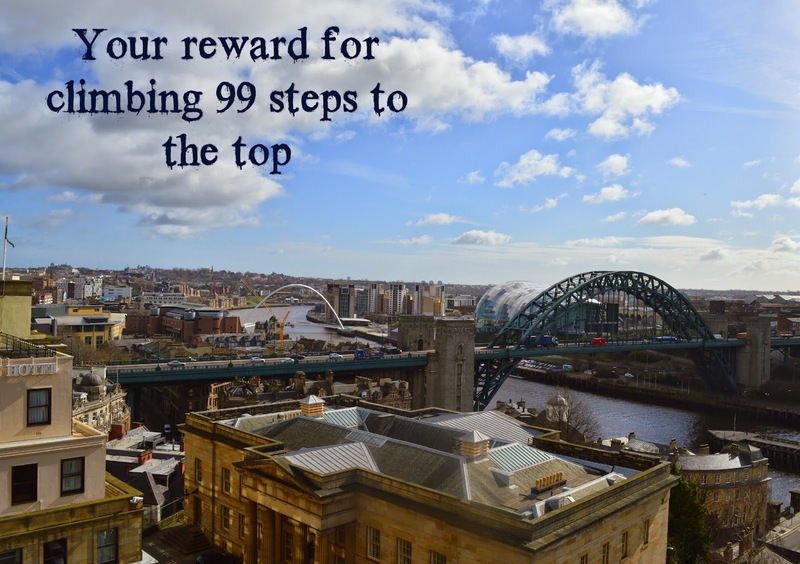 We love that Newcastle Building Society put a lot back into the community and have a few exciting collaborations coming up together in the next few months so keep your eyes peeled. We have featured Pikku in Gosforth on the blog a few times in the last year and believe you won't find a better place for a children's haircut. Pikku also offer the most wonderful Pamper Me parties and Heidi and her friends had a fantastic time celebrating Heidi's birthday with an exclusive party in the salon last year. Pikku also sell a gorgeous selection of unique children's wear and traditional toys. The Keel Row in Gosforth is a pub fairly local to us and a warm welcome is always received. It's a reasonable place to pop in for tea after school and I love that it has both an indoor and outdoor play area to keep the children entertained. You must check out their rather special 'steak on a stone' experience too. Newcastle Castle is one of Newcastle's must see attractions. 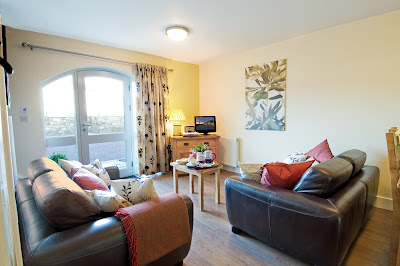 After an extensive refurbishment, it's a wonderful place to visit with or without children. 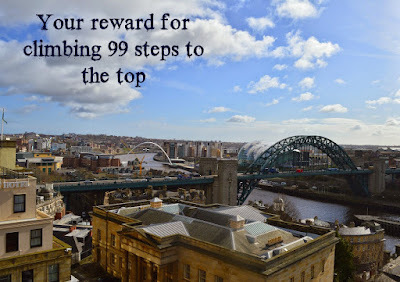 Steeped in history, there's lots to learn and discover and climbing the 99 steps to the very top is certainly worth it for some of the best views in Newcastle. Alnwick garden is a place I have probably visited over 20 times. Always evolving, there is always a lot to discover and enjoy whether this be exploring the garden of fairytales, lunch in a treehouse, admiring the rose garden, learning about poisonous plants or simply admiring the impressive grandw cascade. I met first met Kelly over a year ago but to be honest it feels as if I have known her all of my life. We probably interact together in some way online every single day and Kelly is probably the best supporter of my #LoveNorthEast linky. 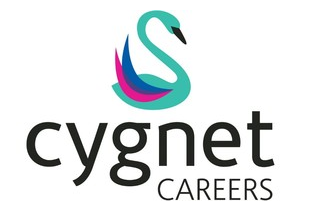 Cygnet Careers works with people and businesses of all shapes and sizes and helps them to reach their full potential. Kelly also hosts networks so small businesses can meet each other and collaborate and also with creatives to make her sessions extra interesting. Always keen to promote inclusion, Kelly has recently joined Really Arts to bring the arts to the people in social inclusion projects. 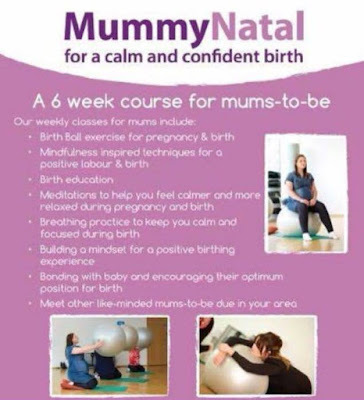 I have only recently met Amy for Natal Bliss at one of our Northumberland Mumpreneur meetings but loved hearing about her work. Natal Bliss run MummyNatal classes in Wallsend where mums-to-be can learn about birth choices, how to grow a positive mindset, how to listen to and understand your body and more. I really wish I had known Amy when I was pregnant as I bet she would have left me feeling better prepared for birth. Amanda from Jajo Gifts is one of the most talented ladies I know. Jajo gifts provide beautiful and unique gifts including magical fairy doors, bunting and frames. Jajo Gifts also create the most gorgeous bespoke teepee tents that are carefully designed just for you. I first met Lizzie when she organised a VIP trip to the Conference and Hospitality Show last year. 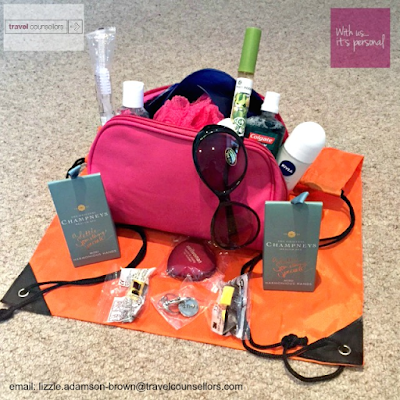 Since then I have avidly followed her page and the fantastic bespoke holidays and business travel packages she creates for her clients. With over 16 years experience, Lizzie can act as your very own travel concierge arranging everything from transport, accommodation and even taking care of restaurant bookings. Lizzie is an expert at designing very complex itineraries and ensuring that every last detail is taken care of. Everything you book through Lizzie is 100% protected - from budget airlines to transfers and 5* hotels and the best part is, Lizzie's services will not cost you a single penny. What can I say about Gemma? In the last 18 months we have become firm friends. She is the founding member of the Northumberland mumpreneurs, the lady who takes care of my tax return and an absolute and you won't meet a more hardworking mum of three. I actually think Gemma has superhuman powers! Gemma is an accredited bookkeeper who offers bookkeeping, accounting and tax services to small businesses across Northumberland and Tyneside and there is honestly no one else I would trust to keep my finances in check. We love Ocean Beach in South Shields and always try to visit every summer. As the largest amusement park in the North East, there is always lots to see and do and entry is FREE! As well as countless thrill and family rides you can also enjoy Quaser Laser, Arcades, Urban Wave, Crazy Golf, Dunes Adventure Island and Laser Maze AND you are right on the beach too. We recommend their fish n chips or ice cream. NorthburN are based in my home town of Cramlington and create the most wonderful luxury scents and fragrances which can delivered across the UK. Products include candles, wax melts, diffusers, room sprays and gift sets. Wendy and her team are highly innovative and always creating new scent combinations for the season ahead. Let's Go Eagles! 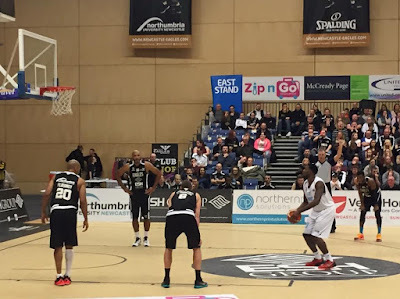 We LOVED our family trip to watch Newcastle Eagles play at the beginning of the year and would recommend it as a night out with a difference. 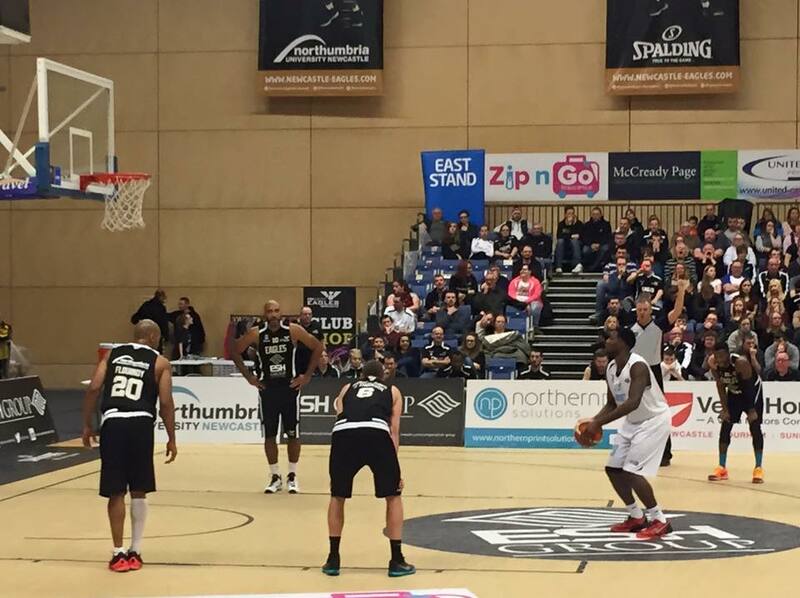 Kids and Grown ups both loved it and they are on top form at the moment too! Giveaway closes at midnight on 28/2/16. There are options to enter daily via twitter. Specific Terms and Conditions:- Must be pre-booked, subject to availability. Drinks are excluded and can be purchased seperately. Specific Terms and Conditions - Valid for 6 months from 28/2/16. Specific Terms and Conditions:- This experience includes entry for each of the four persons into Kirkley Hall Zoological Gardens. This experience is available for adults and children aged 5 and over. Children between the ages of 5 to 15 years old must be accompanied by a spectating parent or guardian paying normal zoo admission. This experience is not suitable for pregnant women or anyone that is immune suppressed. Unfortunately our Meerkat enclosures are not wheelchair friendly Please wear closed shoes and suitable clothing. Please note this offer is for a maximum of four persons. Kirkley Hall Zoological Gardens reserve the right to cancel at any point. This voucher is valid for 12 months, and must be prebooked. Specific Terms and Conditions:- Must be pre-booked, valid for one meal only, any funds that are not used cannot be carried over. Specific Terms and Conditions:- Valid for up to 1 adult and 3 children or 2 adults and 2 children during regular opening hours. Specific Terms and Conditions:- Can be used once, subject to availability. Must be pre-booked. Specific Terms and Conditions:- Valid during regular opening hours, height restrictions apply. Specific Terms and Conditions:- Mainland UK delivery only. 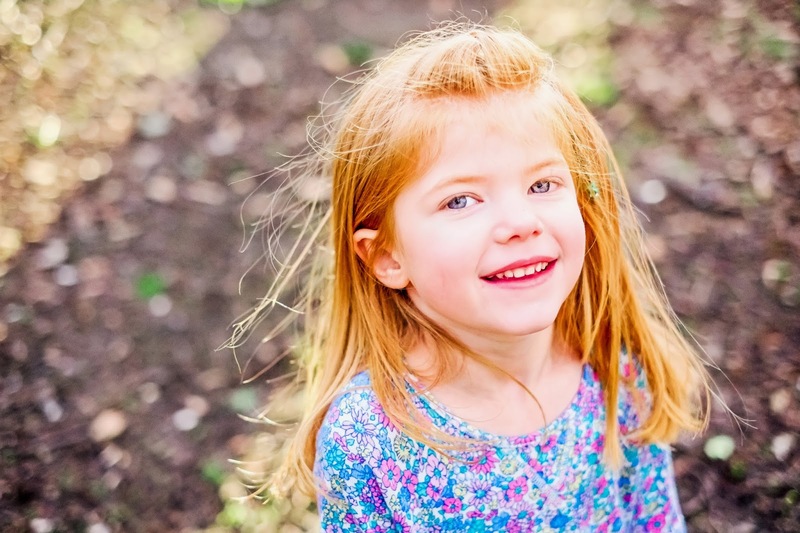 *A lifestyle photoshoot worth £75 (at home or on location within 10 miles of Newcastle) with a complimentary 12x8 print from Mandy Charlton Photography. Specific Terms and Conditions:- Travel not included. Extra prints are available to purchase separately. Specific Terms and Conditions:- Subject to availability. *Giveaway ends at Midnight on Sunday 28th February 2016. 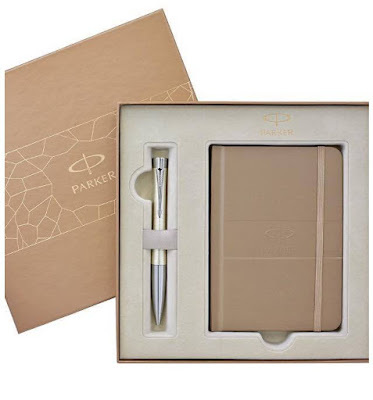 One winner will be selected at random from all valid entries and be notified within 7 days of the competition closing. If there is no response from the winner within 7 days, a new winner will be selected and so on. *Prizes are non-transferable and will expire on 31/12/16 unless otherwise stated. There is no cash alternative. All prizes are subject to availability. No change will be provided. *We reserve the right to substitute any prize for one of a similar value. *Photographs are for illustrative purposes only. Yay! I love giveaways (and getaways!). Awesome prize, can't beat the North East! This is incredible! Thanks for the chance!